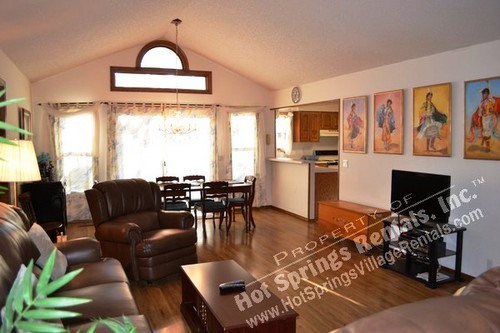 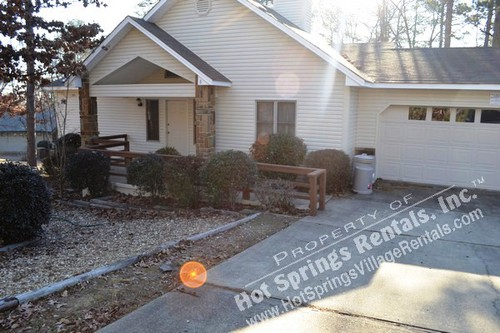 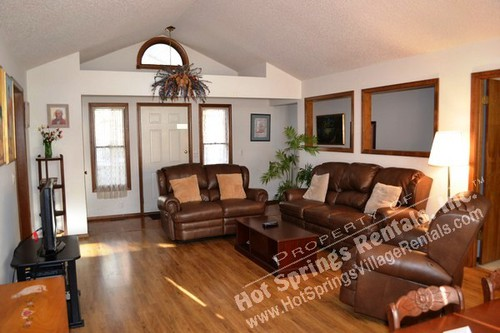 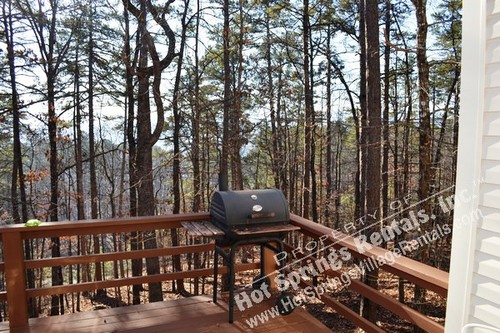 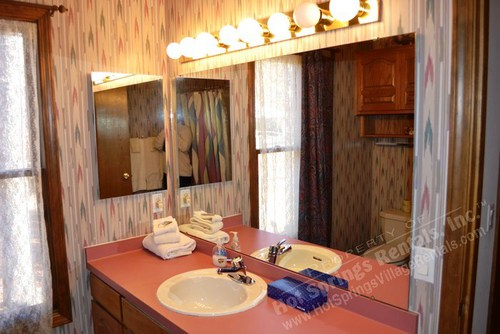 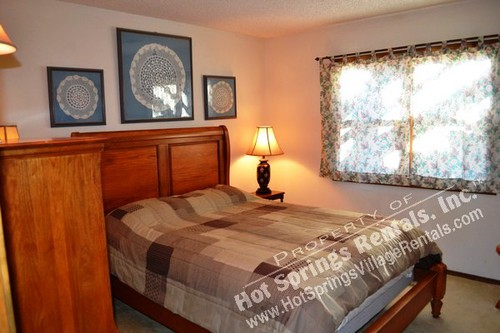 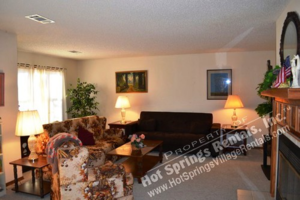 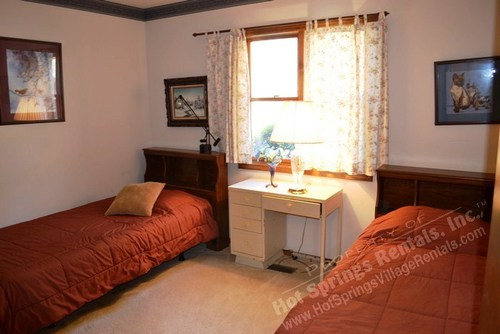 This single family home will welcome eight guests and is conveniently located to the West/Front gate of Hot Springs Village. 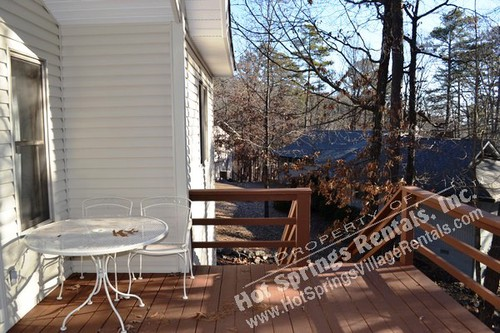 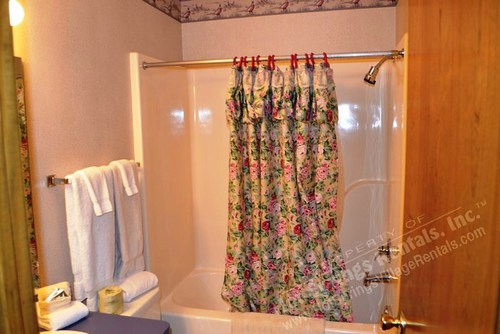 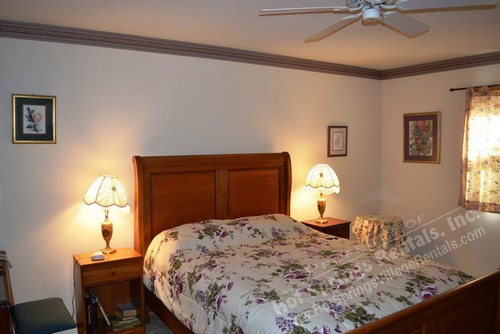 This 3 bedroom ,3 bath home offers 2 queen beds, 2 twin beds and a futon which will be available mid to late-August 2010. 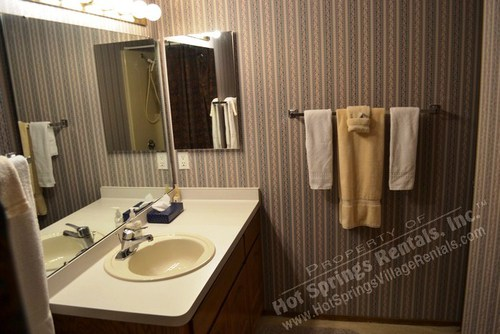 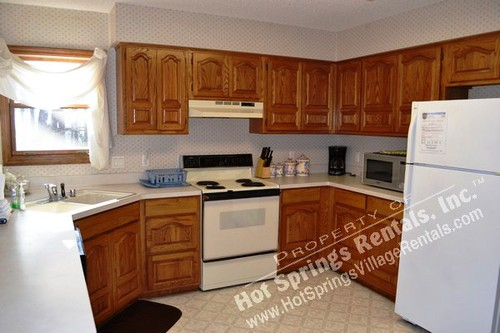 This unit offers 2 TVs with Satellite, VCR/DVD washer, dryer and grill.